Tokyo [Japan] Feb 24 (ANI): In an effort to improve baggage facility at Tokyo International Airport, Japan Airline Ground Service on Sunday introduced the latest wearable robot technology ATOUN MODEL Y.
Beijing [China], Feb 21 (ANI): An online video from China shows a young girl, bored of waiting in line at a train station, sneaking through an X-Ray machine meant for baggage inspection. Srinagar (Jammu and Kashmir) [India], Nov 5 (ANI): GoAir on Sunday issued a statement saying that the luggage of passengers in its flight G8 213 from Srinagar to Jammu was not loaded due to flight load restrictions. New Delhi [India], Mar. 30 (ANI): Thousands of bags on Thursday were misplaced, after a failure was detected in baggage handling system at New Delhi's Indira Gandhi International Airport. London [U.K.], Feb. 3 (ANI): A new innovative technology has come out that can prevent your luggage from getting lost on flights. New Delhi [India], November 5 (ANI): Passengers travelling with Finnish airline, Finnair can now expect weighing scales in different parts of the Helsinki airport to get themselves weighed with their carry-on luggage. 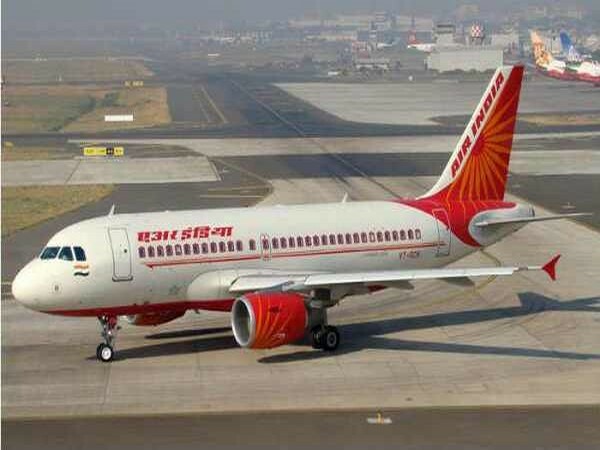 New Delhi [India] October 14 (ANI): Full service airlines Air India on Saturday informed that an Electrical Baggage Tractor (EBT) hit engine of aircraft AI-348 Delhi-Sanghai, which was ready to take off adding, an investigation is underway. New Delhi [India], September 15 (ANI): A passenger was detained and offloaded from the Delhi-Goa SpiceJet flight for carrying a kitchen knife on-board. New Delhi [India], Mar. 03 (ANI): The government on Thursday withdrew its decision to stop the practice of stamping hand baggage tags at major airports after security agencies raised concerns. New Delhi [India], Feb. 23 (ANI): The Bureau of Civil Aviation Security (BCAS) on Thursday issued an order of doing away with stamping hand bag tags with immediate effect at seven major airports- Delhi, Mumbai, Kolkata, Bangalore, Hyderabad, Ahmedabad and Cochin. Gurgaon (Haryana), July 21 (ANI): Domestic carrier Spicejet on Thursday cleared the air about unaccompanied baggage being found on their Dubai-Amritsar flight.